“Tobacco use remains the single largest preventable cause of death and disease in the United States.” (Centers for Disease Control and Prevention). So, treating nicotine addiction and producing smoking cessation could greatly improve health. But smoking has proved devilishly difficult to treat. 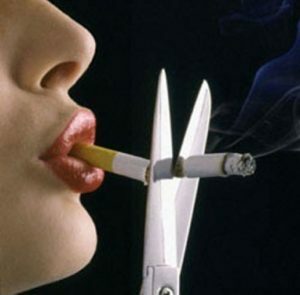 There are a wide variety of methods and strategies to quit smoking which are to only a very limited extent effective. According to the National Institutes of Health, about 40% of smokers who want to quit make a serious attempt to do so each year, but fewer than 5% actually succeed. Most people require three or four failed attempts before being successful. One problem is that nicotine is one of the most addictive substances known and withdrawal from nicotine is very stressful, producing many physical and psychological problems, including negative emotional states and depression. In essence, the addict feels miserable without the nicotine. This promotes relapse to relieve the discomfort. Better methods to quit which can not only promote quitting but also prevent relapse are badly needed. Mindfulness practices have been found to be helpful in treating addictions, including nicotine addiction, and reducing the risk of relapse. In order to quit smoking, the addict must learn to withhold responding to smoking related cues. That is the smoker must be better able to inhibit the smoking response. In today’s Research News article “Effects of a brief mindfulness-meditation intervention on neural measures of response inhibition in cigarette smokers.” (See summary below or view the full text of the study at: https://www.ncbi.nlm.nih.gov/pmc/articles/PMC5784955/ ), Andreu and colleagues explore a possible mechanism by which mindfulness may affect smoking cessation; improved response inhibition. This is the ability to stop or withhold a behavior that may be highly motivated. Obviously, smoking is strongly motivated and a behavior that is very hard to stop or withhold. They recruited adult smokers and exposed them to a cigarette and either provided them with a recorded mindfulness instruction or were told to cope with their urge to smoke in any way they could. They then had the Electroencephalogram (EEG) recorded while performing a smoking go/no-go task in which they pushed a button each time a picture was presented with a particularly colored frame on a computer screen and did not press the button when the picture had a different colored frame. The pictures were either smoking related or neutral. The go-no-go task is a standard test for response inhibition. They found that there were no significant differences between the error rates or response speeds between the mindfulness or no instruction groups on the go/no-go task. But there were differences in the EEG. During the task the changes in the electrical activity that occur in response to the pictures was recorded. These event-related potentials or ERPs are the fluctuations of the signal after specific periods of time which are thought to measure different aspects of the nervous system’s processing of the stimulus. The P3 response in the evoked potential (ERP) is a positive going electrical response occurring between a 3 to 5 tenths of a second following the target stimulus presentation. These responses were significantly larger with the smoking related than neutral pictures. Importantly, the mindfulness instruction group had significantly smaller P3 responses on the no-go trials than the no-instruction group. The P3 component is thought to reflect response inhibition. The lower P3 response after mindfulness instruction suggests that mindfulness reduces the effort needed to withhold a response when needed (no-go trials). By paying closer attention in the present moment, detection of the no-go stimulus may be enhanced making it easier to withhold responding. Hence, the results suggest that mindfulness improves response inhibition in smokers. This may be, in part, the mechanism by which mindfulness training improves smoking cessation and reduces relapse. It makes it easier to not respond to smoking related situation with smoking. So, improve response inhibition to quit smoking with mindfulness. Research suggests that mindfulness-practices may aid smoking cessation. Yet, the neural mechanisms underlying the effects of mindfulness-practices on smoking are unclear. Response inhibition is a main deficit in addiction, is associated with relapse, and could therefore be a candidate target for mindfulness-based practices. The current study hence investigated the effects of a brief mindfulness-practice on response inhibition in smokers using behavioral and electroencephalography (EEG) measures. Fifty participants (33 females, mean age 20 years old) underwent a protocol of cigarette exposure to induce craving (cue-exposure) and were then randomly assigned to a group receiving mindfulness-instructions or control-instructions (for 15 minutes approximately). Immediately after this, they performed a smoking Go/NoGo task, while their brain activity was recorded. At the behavioral level, no group differences were observed. However, EEG analyses revealed a decrease in P3 amplitude during NoGo vs. Go trials in the mindfulness versus control group. The lower P3 amplitude might indicate less-effortful response inhibition after the mindfulness-practice, and suggest that enhanced response inhibition underlies observed positive effects of mindfulness on smoking behavior. “Tobacco use remains the single largest preventable cause of death and disease in the United States.” (Centers for Disease Control and Prevention). So, treating nicotine addiction and producing smoking cessation could greatly improve health. But, smoking has proved devilishly difficult to treat. There are a wide variety of methods and strategies to quit smoking which are to only a very limited extent effective. According to the National Institutes of Health, about 40% of smokers who want to quit make a serious attempt to do so each year, but fewer than 5% actually succeed. Most people require three or four failed attempts before being successful. One problem is that nicotine is one of the most addictive substances known and withdrawal from nicotine is very stressful, producing many physical and psychological problems, including negative emotional states and depression. In essence, the addict feels miserable without the nicotine. This promotes relapse to relieve the discomfort. Better methods to quit which can not only promote quitting but also prevent relapse are badly needed. Mindfulness practices have been found to be helpful in treating addictions, including nicotine addiction, and reducing the risk of relapse. In today’s Research News article “Dispositional Mindfulness Predicts Enhanced Smoking Cessation and Smoking Lapse Recovery.” See summary below or view the full text of the study at: https://www.ncbi.nlm.nih.gov/pmc/articles/PMC4867253/, Heppner and colleagues recruited African American smokers who smoked at least 5 cigarettes per day for at least one year and enrolled in a smoking cessation treatment program. They were measured 19 and 5 days before quitting smoking and 3 days, 31 days, and 26 weeks after quitting for cigarettes smoked per day, smoking abstinence, mindfulness, positive and negative emotions, dependence and withdrawal symptoms, self-efficacy, and social support. They found that the number of participants remaining abstinent dropped precipitously over 26 weeks but mindfulness mattered. Abstinence dropped to around 7% of participants who were low in mindfulness but to only 14% of participants who were high in mindfulness. Of those participants who relapsed at day 3 after treatment high mindfulness participants were significantly more likely to recover abstinence by day 31 and week 26. They also found that the improvement in abstinence at day 3 produced by mindfulness occurred primarily as a result of mindfulness producing lower levels of sadness, anger, and depression, lower use of smoking to control emotions, and more social support which in turn were associated with better abstinence rates. These results are interesting but correlational, so causation cannot be determined. But, prior research has shown that mindfulness training improves treatment for nicotine addiction. So, it is likely that the relationships between mindfulness and smoking cessation observed in the present study were due to mindfulness causing the improved abstinence. Mindfulness acted through intermediaries of improved emotion regulation and improved social support to support abstinence. These results suggest that mindfulness is very helpful in remaining abstinent after quitting smoking and should become a component of all smoking cessation treatment packages. So, stay abstinent from smoking mindfully. Although mindfulness has been hypothesized to promote health behaviors, no research has examined how dispositional mindfulness might influence the process of smoking cessation. The current study investigated dispositional mindfulness, smoking abstinence, and recovery from a lapse among African American smokers. Participants were 399 African Americans seeking smoking cessation treatment (treatments did not include any components related to mindfulness). Dispositional mindfulness and other psychosocial measures were obtained pre-quit; smoking abstinence was assessed 3 days, 31 days, and 26 weeks post-quit. Individuals higher in dispositional mindfulness were more likely to quit smoking both initially and over time. Moreover, among individuals who had lapsed at day 3, those higher in mindfulness were more likely to recover abstinence by the later time points. The mindfulness-early abstinence association was mediated by lower negative affect, lower expectancies to regulate affect via smoking, and higher perceived social support. Results suggest that mindfulness might enhance smoking cessation among African American smokers by operating on mechanisms posited by prominent models of addiction. “Tobacco use remains the single largest preventable cause of death and disease in the United States. Cigarette smoking kills more than 480,000 Americans each year, with more than 41,000 of these deaths from exposure to secondhand smoke. 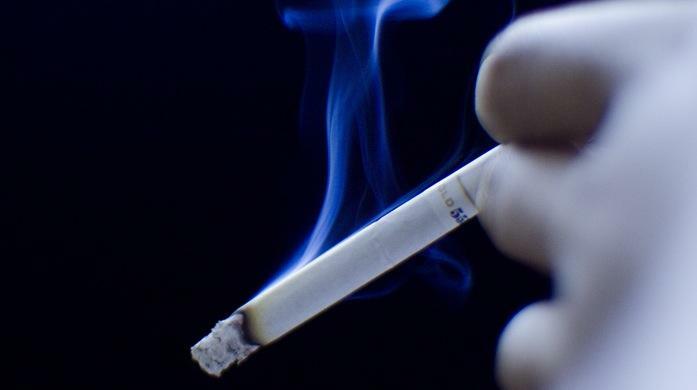 In addition, smoking-related illness in the United States costs more than $300 billion a year. In 2013, an estimated 17.8% (42.1 million) U.S. adults were current cigarette smokers.” (Centers for Disease Control and Prevention). There are a wide variety of methods and strategies to quit smoking which are to only a very limited extent effective. According to the National Institutes of Health, about 40% of smokers who want to quit make a serious attempt to do so each year, but fewer than 5% actually succeed. Most people require three or four failed attempts before being successful. One problem is that nicotine is one of the most addictive substances known and withdrawal from nicotine is very stressful, producing many physical and psychological problems, including negative emotional states and depression. In essence the addict feels miserable without the nicotine. This promotes relapse to relieve the discomfort. Better methods to quit which can not only promote quitting but also prevent relapse are badly needed. Mindfulness practices have been found to be helpful in treating addictions, including nicotine addiction, and reducing the risk of relapse. But, it is not known how mindfulness produces these beneficial effects. One possibility is that mindfulness training helps to alter how rewarding smoking is, called restructuring reward processes. Froeliger and colleagues examine whether restructuring reward processes is involved in mindfulness training’s effectiveness in aiding smoking cessation. They recruited nicotine-dependent adult smokers who reported smoking more than 10 cigarettes/day for a minimum of 2 years. They separated them into a mindfulness training group and a matched no-treatment control group. Mindfulness training, called Mindfulness-Oriented Recovery Enhancement (MORE) involved 8 weekly sessions, including mindful breathing and body scan meditations, cognitive reappraisal to decrease negative emotions and craving, and savoring to augment natural reward processing and positive emotion. They were also encouraged to practice at home for 15 minutes per day. The groups were measured for smoking by self-report and breath CO2 measurement, craving to smoke, positive and negative emotions, and mindfulness. Both groups underwent functional Magnetic Resonance Imaging (fMRI) before and after the 8-week training. During scanning they were instructed to imagine feeling positive emotions in response to a picture or to simply look at neutral or smoking related images. They found that MORE mindfulness training significantly reduced cigarette consumption and improved positive emotions following treatment. The fMRI scans revealed significant changes in brain structure and connectivity in the MORE mindfulness training group. While imagining positive reactions to pictures, after, but not before training, the MORE mindfulness trained group evidenced a significantly greater response than the control group in the rostral anterior cingulate cortex and ventral striatum. Conversely, while viewing smoking related images, the MORE mindfulness trained group evidenced a significantly lower response than the control group in the rostral anterior cingulate cortex and ventral striatum. Hence, MORE mindfulness training appeared to restructure the brain increasing brain responses to positive thoughts while decreasing them to smoking stimuli. So, treatment appeared to change the brain making it react more positively to everyday stimuli and more negatively to smoking images, reducing the emotional rewards of smoking. They also found that the larger the brain response to imagining positive emotions to everyday stimuli in the rostral anterior cingulate cortex and ventral striatum the greater the positive emotions and the smaller the craving for cigarettes and the greater the reduction in cigarettes smoked. So, mindfulness training increased the response of these structures resulting in greater positive mood and a lowering of cigarette craving and consumption. This suggests that MORE mindfulness training reduces craving and smoking by changing the brain to produce less positive emotional responses to smoking. These are fascinating results and encourage further, better controlled work than this pilot study that did not have an active control condition. But, the results clearly suggest that mindfulness training is effective in helping nicotine addicts stop smoking and does so by altering the brain to be more positive normally and less positive to smoking. The mindfulness training appeared to restructure the brain making smoking less rewarding and the rest of life more so, leading to reduced smoking. So, MORE mindfulness for stopping smoking. The primary goal of this pilot feasibility study was to examine the effects of Mindfulness-Oriented Recovery Enhancement (MORE), a behavioral treatment grounded in dual-process models derived from cognitive science, on frontostriatal reward processes among cigarette smokers. Healthy adult (N = 13; mean (SD) age 49 ± 12.2) smokers provided informed consent to participate in a 10-week study testing MORE versus a comparison group (CG). All participants underwent two fMRI scans: pre-tx and after 8-weeks of MORE. Emotion regulation (ER), smoking cue reactivity (CR), and resting-state functional connectivity (rsFC) were assessed at each fMRI visit; smoking and mood were assessed throughout. As compared to the CG, MORE significantly reduced smoking (d = 2.06) and increased positive affect (d = 2.02). MORE participants evidenced decreased CR-BOLD response in ventral striatum (VS; d = 1.57) and ventral prefrontal cortex (vPFC; d = 1.7) and increased positive ER-BOLD in VS (dVS = 2.13) and vPFC (dvmPFC = 2.66). Importantly, ER was correlated with smoking reduction (r’s = .68 to .91) and increased positive affect (r’s = .52 to .61). These findings provide preliminary evidence that MORE may facilitate the restructuring of reward processes and play a role in treating the pathophysiology of nicotine addiction. Vidrine and colleagues examine this issue by studying the relationship of mindfulness to stress, negative emotions, and depression in smokers entering a smoking cessation treatment program. They recruited adult smokers from an urban population who were willing to partake in a mindfulness-based quitting smoking program. Prior to the therapy program the participants completed measures of nicotine dependence, mindfulness, coping mechanisms, positive and negative emotions, and depression. Analyzing these responses, they found that the higher the levels of mindfulness the lower the levels of perceived stress, negative emotions, and depression and the higher the levels of positive emotions. In other words, being mindful was associated with better emotional health. In addition, they found that that the higher the levels of mindfulness the greater use of coping methods of catharsis, seeking social support, religion, and relaxation. Hence, mindful people used adaptive methods to cope with discomfort and stress. Employing a sophisticated statistical technique of mediation analysis, they were able to demonstrate that mindfulness increased coping through relaxation which resulted in reduced perceived stress and depression, and higher positive emotions. They were also able to demonstrate that coping with catharsis was able to magnify the association of mindfulness with lower negative emotions. These results are very interesting and suggest that mindfulness may be able to assist in smoking cessation by reducing the negative consequences of nicotine withdrawal, in particular by increasing relaxation which in turn reduces perceived stress and depression, and heightens positive feelings. They also suggest that the coping strategy of catharsis acts by amplifying the ability of mindfulness to reduce negative feelings. These findings have implications for smoking cessation. They suggest that including relaxation and catharsis practices in a mindfulness-based smoking cessation treatment program might strengthen its ability to assist the smoker to quit. So, improve emotions in quitting smokers by increasing relaxation with mindfulness. It is not surprising that smoking abstinence rates are low given that smoking cessation is associated with increases in negative affect and stress that can persist for months. Mindfulness is one factor that has been broadly linked with enhanced emotional regulation. This study examined baseline associations of self-reported trait mindfulness with psychological stress, negative affect, positive affect, and depression among 158 smokers enrolled in a smoking cessation treatment trial. Several coping dimensions were evaluated as potential mediators of these associations. Results indicated that mindfulness was negatively associated with psychological stress, negative affect and depression, and positively associated with positive affect. Furthermore, the use of relaxation as a coping strategy independently mediated the association of mindfulness with psychological stress, positive affect, and depression. The robust and consistent pattern that emerged suggests that greater mindfulness may facilitate cessation and attenuate vulnerability to relapse among smokers preparing for cessation. Furthermore, relaxation appears to be a key mechanism underlying these associations. Nicotine is one of the most addictive substances known. But, its addictiveness is not just due to its pharmacological properties. Addiction to smoking also involves learned or conditioned factors, genetics, and social and environmental factors. This makes it easy to become addicted and very difficult to stop. To some extent this is why there still are high rates of smoking even though mostly everyone understands that it has very negative effects on health and longevity. or see summary below, Ruscio and colleagues test the effectiveness of brief meditation in real life situations to assist in reducing smoking. They recruited a community sample of adult cigarette smokers and randomly assigned them to either a brief (2 week) meditation or sham meditation condition. Meditation group participants were instructed in meditation and required to meditate once per day for at least 20 minutes at a time and place of their choosing with pre-recorded guided meditations. The control group also “sham meditated” once a day with a recording that guided them to let their minds wander and judge experience. Both groups were given a Personal Digital Assistant (PDA) that was programmed to prompt them at four random times during each day to complete assessments of smoking, craving, and positive and negative feelings. They found that the meditation group reported significantly lower cravings after meditation and fewer negative emotions. Importantly, the meditation group significantly and progressively decreased the number of cigarettes smoked per day over the 2 weeks while the sham meditation group did not. These findings are particularly striking because real-world smoking was followed and assessed and there was a truly comparable control condition. Hence, the findings are not due to experimental contamination and are applicable to the kinds of situations where smoking normally occurs. The importance of this should not be underestimated. The lab or the clinic is not the real world. Smoking is prompted by many situations and signals present in the everyday environment that are not present in the lab. So, it is particularly important to test potential therapies against real world smoking behavior. These are interesting and potentially important findings. A brief daily meditation is capable of reducing craving to smoke and the number of cigarettes smoked per day. If this could be maintained for longer periods it might lead to complete cessation of smoking and possibly prevention of relapse. It will require future research to examine these possibilities. Regardless meditation appears to reduce smoking over the short-term. So, reduce cigarette smoking and cravings with mindfulness. Ruscio AC, Muench C, Brede E, Waters AJ. Effect of Brief Mindfulness Practice on Self-Reported Affect, Craving, and Smoking: A Pilot Randomized Controlled Trial Using Ecological Momentary Assessment. Nicotine Tob Res. 2016 Jan;18(1):64-73. doi: 10.1093/ntr/ntv074. Introduction: Despite efficacious pharmacological and behavioral treatments, most smokers attempt to quit without assistance and fail to quit. Mindfulness practice may be useful in smoking cessation. Methods: This ecological momentary assessment (EMA) study was a pilot parallel group randomized controlled trial of a brief mindfulness practice (Brief-MP) intervention on self-reported smoking behavior delivered to smokers on a Personal Digital Assistant (PDA) in the field. Adult community smokers (N = 44) were randomly assigned to a Brief-MP (n = 24) or Control (sham meditation; n = 20) group. Participants were instructed to smoke as much or as little as they liked. Participants carried a PDA for 2 weeks and were instructed to initiate 20 minutes of meditation (or control) training on the PDA daily, completing an assessment of cognitive and affective processes immediately afterwards. Additionally, they completed assessments at random times up to four times per day. Primary outcome variables were negative affect, craving, and cigarettes smoked per day, all self-reported. Results: Thirty-seven participants provided EMA data totaling 1874 assessments. Linear Mixed Model analyses on EMA data revealed that Brief-MP (vs. Control) reduced overall negative affect, F(1, 1798) = 13.8, P= .0002; reduced craving immediately post-meditation, (Group × Assessment Type interaction, F(2, 1796) = 12.3, P = .0001); and reduced cigarettes smoked per day over time (Group × Day interaction, F(1, 436) = 5.50, P = .01). Conclusions: Brief-MP administered in the field reduced negative affect, craving, and cigarette use, suggesting it may be a useful treatment. Oikonomou and colleagues review the published randomized controlled trials on the use of mindfulness training as a treatment for quitting cigarette smoking. They found, not surprising, that the training was successful in increasing mindfulness. More importantly, they found that although mindfulness training did not produce significantly different cigarette abstinence rates at 4 to 6 weeks following training, it did at 17 to 24 weeks, where 25.2% of mindfulness trained participants were abstinent while only 13.6% of usual treatment participants were. These results are encouraging as the reviewed studies were high quality, well controlled, and designed trials. They suggest that mindfulness training is effective in promoting the long-term cessation of cigarette smoking. It is not known exactly what it is about mindfulness training that assists with cessation of smoking. But, it can be speculated that since quitting smoking is very stressful, mindfulness training might help because it reduces the psychological and physical responses to stress, thus making it easier for the individual to withstand the stress of nicotine withdrawal. The fact, however, that mindfulness training did not improve cessation rates at 4 weeks after treatment and it is during this time that nicotine withdrawal effects are present, that it is unlikely that this is the mechanism of action. Staying abstinent from smoking over the long-term requires that the individual be able to refrain from responding to the myriad of social, environmental, and physical triggers that signal cigarette smoking. By increasing mindfulness, the training may make it easier for the individual to be aware of these triggers and thus be better able to prevent responding to them. Regardless of the mechanism, it is clear that mindfulness training is effective in promoting abstinence from cigarette smoking following successful quitting. This is an important advance in the fight against this major threat to health. So, kick the smoking habit with mindfulness. Recent studies have shown that mindfulness training has a promising potential for smoking treatment. In order to examine the efficacy of mindfulness training in smoking cessation, we performed a systematic review of the literature and meta-analysis of randomized controlled trials. Four randomized controlled trials with 474 patients were included in our analysis. The results showed that 25.2 percent of participants remained abstinent for more than 4 months in the mindfulness group compared to 13.6 percent of those who received usual care therapy (relative risk, 1.88; 95 percent confidence interval, 1.04–3.40). Our results suggest that mindfulness training may have an important role to play in efforts to lower cigarette smoking rates. The FFMQ measures observing, describing, acting with awareness, non-judging, and non-reactivity facets of mindfulness. They found that the non-judging was the sole facet of mindfulness that predicted successful abstinence from smoking. It significantly predicted abstinence even when its relationship with reduced depression and with demographic variables were accounted for. Of the participants who were high in non-judging 54% were abstinent from smoking 3 weeks after the end of treatment versus 23% of those low in non-judging, while a half year after treatment ceased 23% versus 5% of high versus low non-judging participants were still abstinent. Although 23% success after 6 months may seem low, relative to other programs with about a 5% success rate and low non-judging participants, also with a 5% success rate, the results for high non-judging participants are quite high. The results clearly demonstrate that non-judging is importantly related to successful smoking cessation and continued abstinence. Non-judging involves being aware of thoughts and feelings but accepting them and not placing value judgements on them. This skill may be helpful in remaining abstinent from smoking as it allows the individual to recognize their thoughts about cigarettes and their cravings simply as they are and not as an indicator that they are failing, that they are weak, or that they shouldn’t be feeling this way. That acceptance may go a long way to helping the individual cope with the cravings and successfully restrain themselves from acting on them and return to smoking. The individuals don’t deny how they’re feeling and accept their feelings, allowing them to better cope with the feelings and remain abstinent. It should be noted that these results were correlational, not manipulating mindfulness, just simply measuring the levels present. As a result it can’t be concluded that non-judging is the cause of great success in smoking cessation. It could well be that there is something else about the individual that both makes them non-judging and better at quitting. It remains for future studies to manipulate non-judging facet of mindfulness and determine if it produces greater success. Regardless, is an interesting and potentially important observation that could lead to better treatments for quitting smoking. Although most smokers express interest in quitting, actual quit rates are low. Identifying strategies to enhance smoking cessation is critical, particularly among underserved populations including Hispanics, for whom many of the leading causes of death are related to smoking. Mindfulness (purposeful, non-judgmental attention to the present moment) has been linked to increased likelihood of cessation. Given that mindfulness is multifaceted, determining which aspects of mindfulness predict cessation could help to inform interventions. This study examined whether facets of mindfulness predict cessation in 199 Spanish-speaking smokers of Mexican heritage (63.3% male, mean age=39, 77.9% ≤ high school education) receiving smoking cessation treatment. Primary outcomes were 7-day abstinence at weeks 3 and 26 post-quit (biochemically-confirmed and determined using an intent-to-treat approach). Logistic random coefficients regression models were utilized to examine the relationship between mindfulness facets and abstinence over time. Independent variables were subscales of the Five Facet Mindfulness Questionnaire (Observing, Describing, Acting with Awareness, Nonjudging, Nonreactivity). The Nonjudging subscale (i.e., accepting thoughts and feelings without evaluating them) uniquely predicted better odds of abstinence up to 26 weeks post-quit. This is the first known study to examine whether specific facets of mindfulness predict smoking cessation. The ability to experience thoughts, emotions, and withdrawal symptoms without judging them may be critical in the process of quitting smoking. Results indicate potential benefits of mindfulness among smokers of Mexican heritage and suggest that smoking cessation interventions might be enhanced by central focus on the Nonjudging aspect of mindfulness.